The Bok Chitto River in Mississippi was once the dividing line between slavery and freedom. If slaves crossed the river to where the Choctaw Aboriginal people lived, they were free and it was illegal for slave owners to bring slaves back across. The Choctaw people built a secret bridge across the river. It was piles of stones that sat just below the muddy water and it was invisible unless you knew about it. 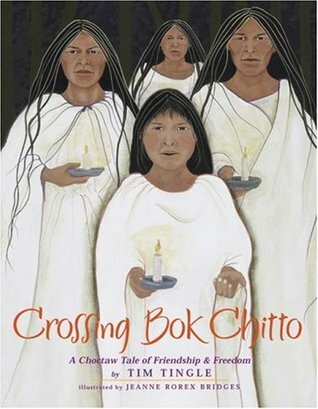 One day, a Choctaw girl named Martha Tom crossed the river and got lost. A young slave boy named Little Mo helped her get home and they became friends over the years. Powerful and emotional, this book would be a wonderful read aloud.